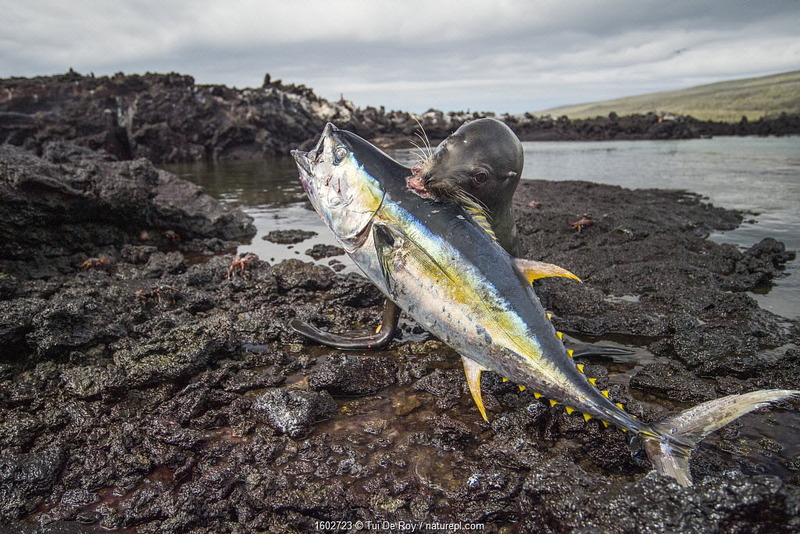 Have you ever heard of sea lions teaming up to catch fish? 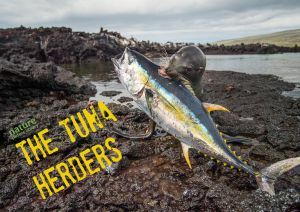 Well, neither had anyone else – not until fishermen in the Galápagos Isles began reporting that they’d seen sea lions co-operatively chasing and herding yellowfin tuna into shallow coves. Photographer Tui De Roy’s photographs – the first ever taken of this ingenious hunting strategy – document this recently-discovered behaviour in detail. 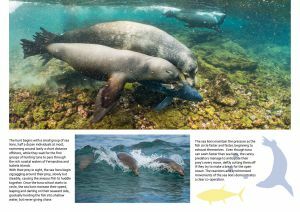 Dive in to find out how these remarkable sea lions have become fish herders! Galapagos sea lions (Zalophus wollebaeki) swimming in the surf, Galapagos. 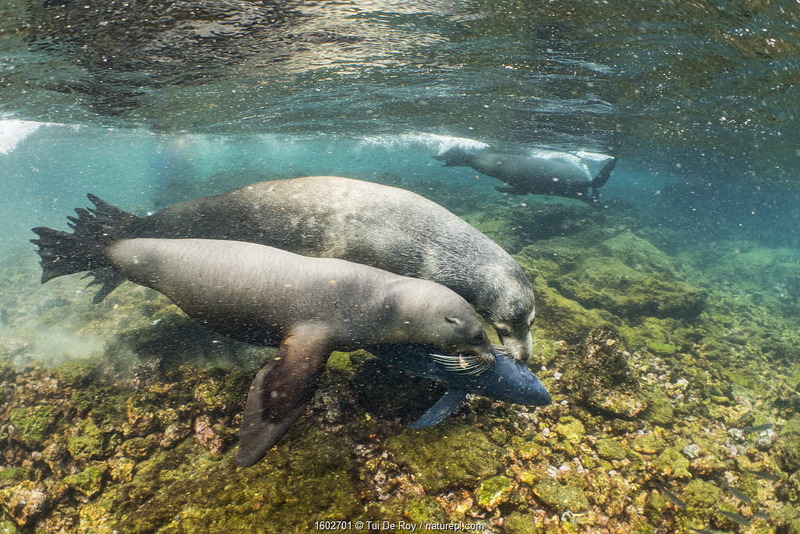 Galapagos sea lions (Zalophus wollebaeki) hunting tuna. 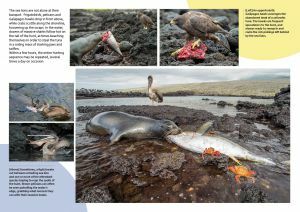 A group of the sea lion bulls have learnt to herd Pelagic yellowfin tuna into a small cove, trapping them. The fish often leap ashore in an effort to escape. Punta Albemarle, Isabela Island, Galapagos. 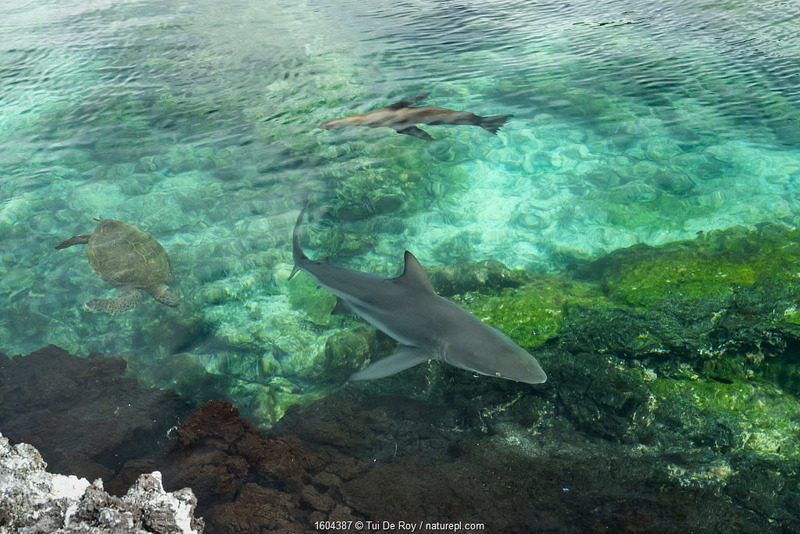 Galapagos sea lion (Zalophus wollebaeki) hunting tuna, with Blacktip shark (Chacharhinus limbatus) and Green turtle (Chelonia mydas) swimming nearby. A group of the sea lion bulls have learnt to herd Pelagic yellowfin tuna into a small cove, trapping them. The fish often leap ashore in an effort to escape. 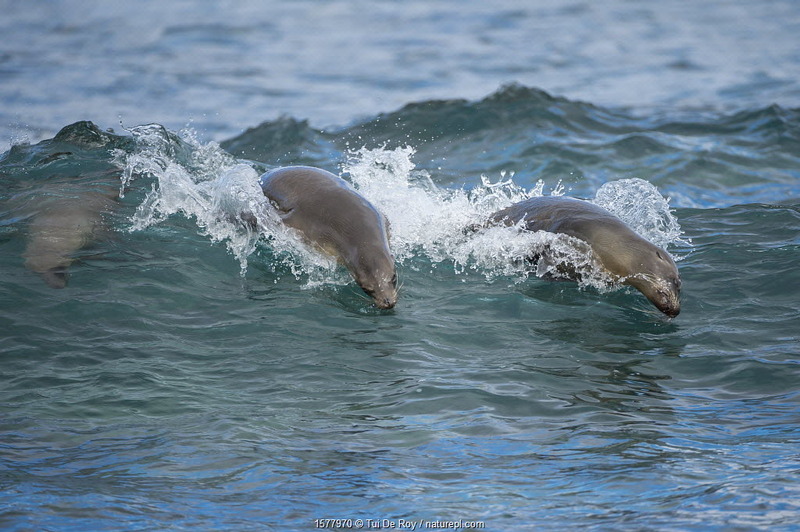 Punta Gavilanes, Fernandina Island, Galapagos. 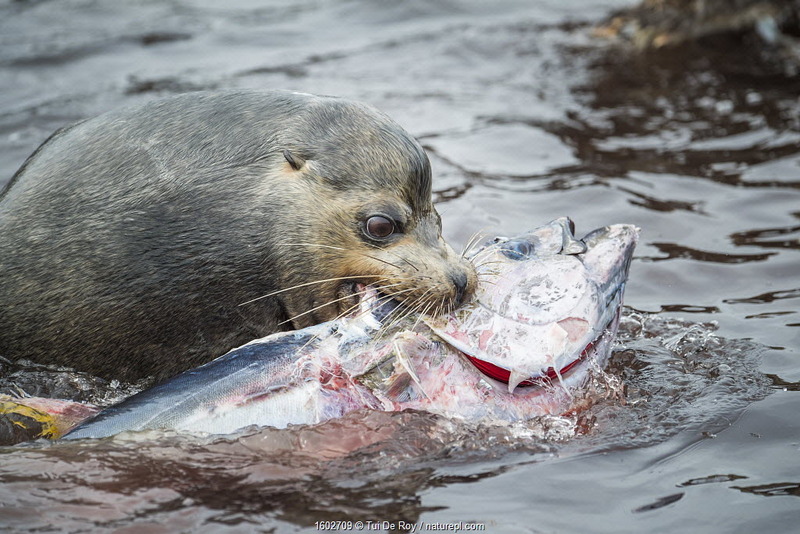 Galapagos sea lion (Zalophus wollebaeki) hunting tuna. A group of the sea lion bulls have learnt to herd Pelagic yellowfin tuna into a small cove, trapping them. The fish often leap ashore in an effort to escape. Punta Albemarle, Isabela Island, Galapagos. 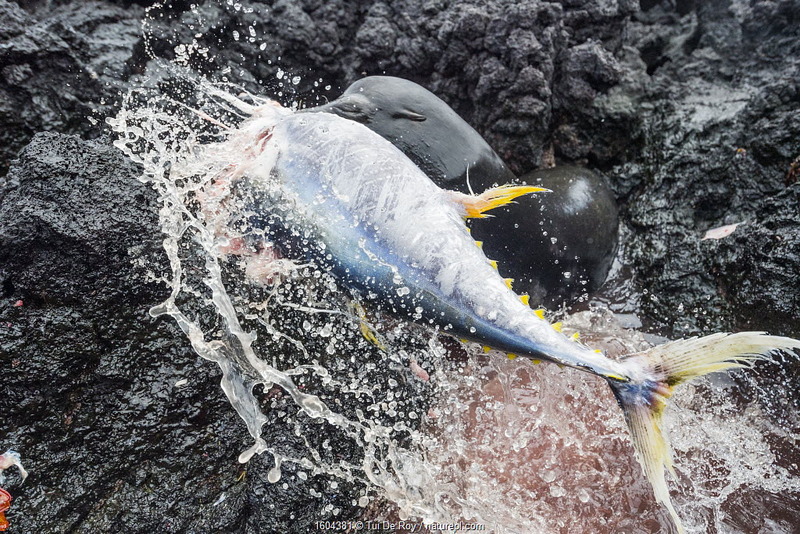 Galapagos sea lion (Zalophus wollebaeki) killing tuna. A group of the sea lion bulls have learnt to herd Pelagic yellowfin tuna into a small cove, trapping them. The fish often leap ashore in an effort to escape. Punta Albemarle, Isabela Island, Galapagos. 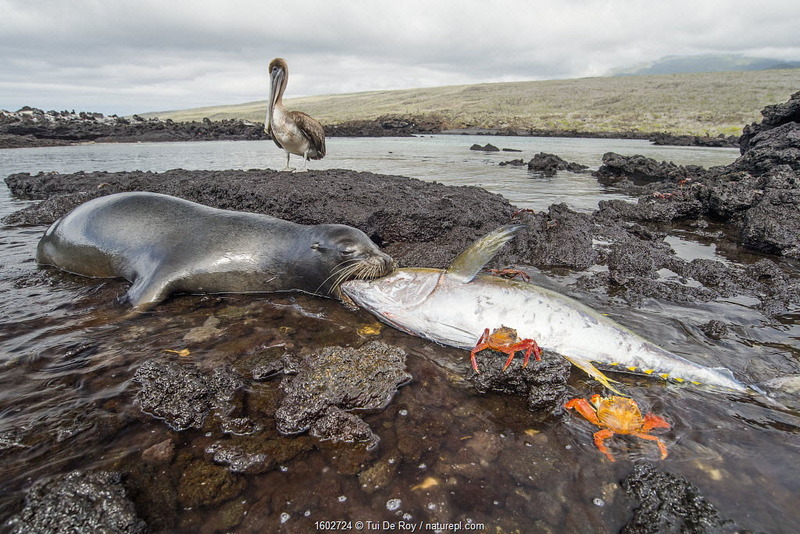 Galapagos sea lion (Zalophus wollebaeki) feeding on tuna, with Sally lightfoot crab (Grapsus grapsus) and a juvenile Galapagos Brown pelican (Pelicanus occidentalis urinator) . A group of the sea lion bulls have learnt to herd Pelagic yellowfin tuna into a small cove, trapping them. The fish often leap ashore in an effort to escape. Punta Albemarle, Isabela Island, Galapagos. 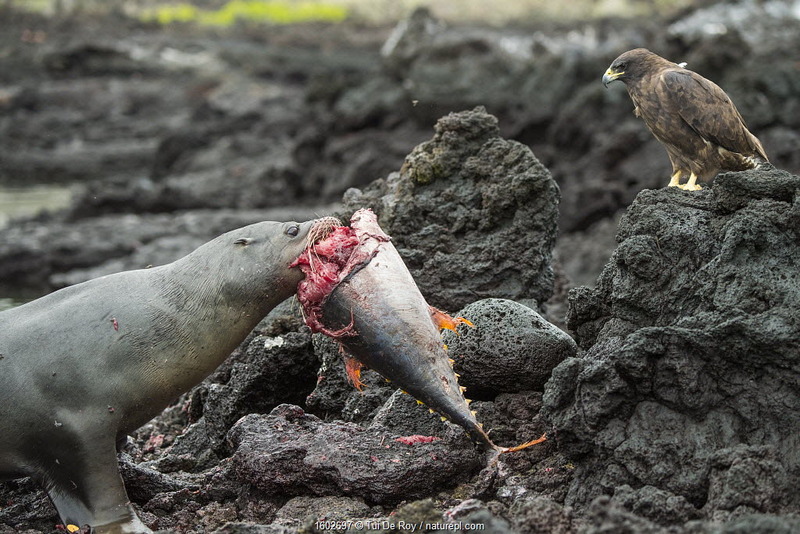 Galapagos sea lion (Zalophus wollebaeki) feeding on tuna, watched by scavenging Galapagos hawk (Buteo galapagoensis). A group of the sea lion bulls have learnt to herd Pelagic yellowfin tuna into a small cove, trapping them. The fish often leap ashore in an effort to escape. Punta Albemarle, Isabela Island, Galapagos. 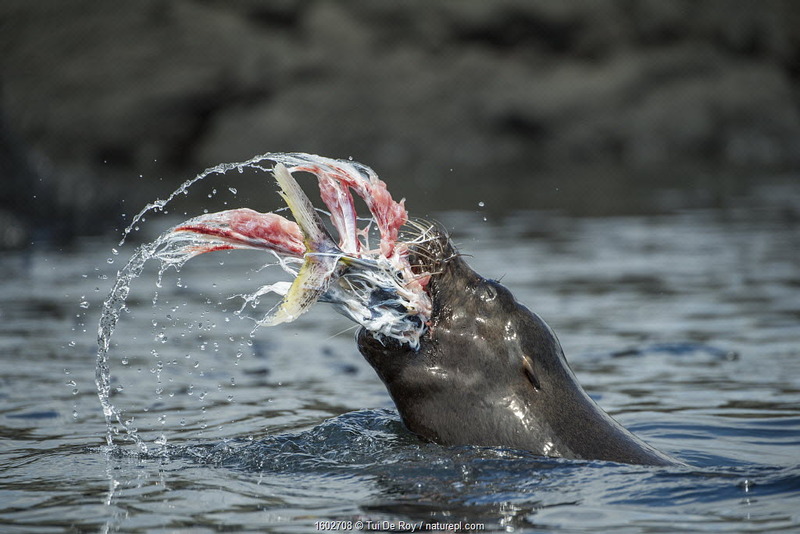 Galapagos sea lion (Zalophus wollebaeki) feeding on tuna. A group of the sea lion bulls have learnt to herd Pelagic yellowfin tuna into a small cove, trapping them. The fish often leap ashore in an effort to escape. Punta Gavilanes, Fernandina Island, Galapagos.